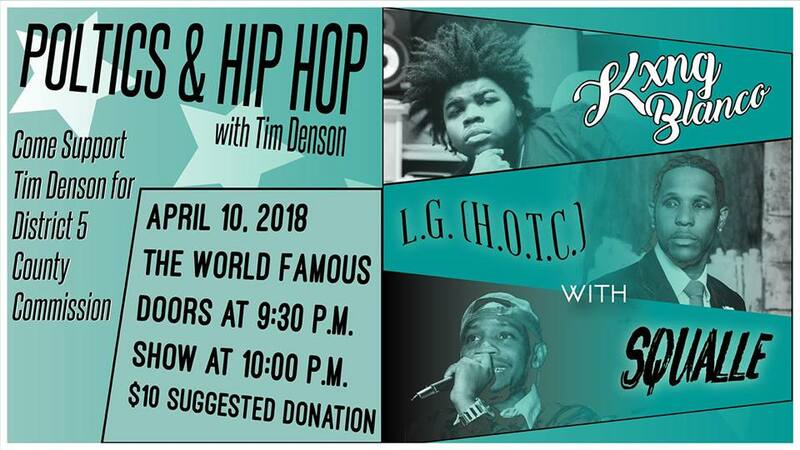 What better way to come together than with the best of Athens hip hop?! Just as music has the power to unite, we know that it is possible to build a more equitable Athens by uniting around a bold vision for racial, social, and economic justice. So join us for a night of music, politics, and camaraderie, and show your support for Tim Denson for District 5 County Commissioner! –Kxng Blanco, Athens Hip Hop Awards Breakout Artist of the Year! And we will hear from our wonderful state representative, Deborah Gonzalez!